We hope you will find our new website easier to use, faster to load and more mobile friendly. If you can't find what you are looking for, or have spotted an error please let us know. 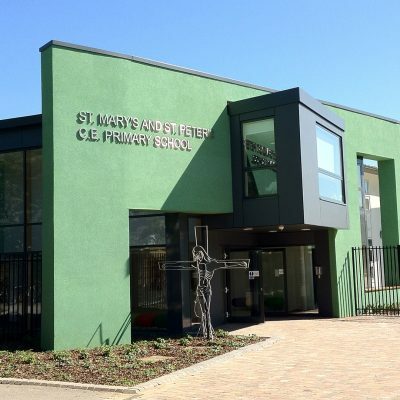 St Mary’s and St Peter’s is a Church of England Primary school in the heart of Teddington. Our vision as a school is to live out Jesus’ promise of ‘Life in all its fullness’ (John 10.10). We are uncompromising in our drive to provide high quality education in an environment where our Christian vision and values are at the heart of the school. Find out more about the school, visiting, the application process, forms and important dates on our prospective parents pages. Give consent and pay for trips, pay school dinner balance and check recent messages on ParentMail. The school has been graded “Outstanding” in all key areas. Read more in our latest Ofsted report. “Christian love and values really do run though the fabric and ethos of St. Mary’s and St. Peter’s School ‘like writing through a stick of rock'”.